Just posted a fairly major update to my links page, including new sections on Neuropsychological/Cognitive testing, Neuromarketing/research businesses, and Academic conferences and organisations, plus lots of other links added to the existing sections, and occasional sprinkles of extra-bonus-added sarcasm throughout. Yay! Have fun people. 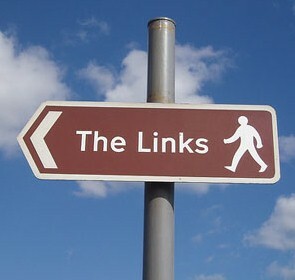 More to come on the links page as I find more stuff/get around to it. There’s been a load of stuff I’ve been collecting for a while and been meaning to do write-ups of, but I’ve had a four-armed, wall-eyed gorgon’s arse of a week (got my SFN abstract in though – boo-yah) so I thought I’d just post them all up here with some minimal comments and let any interested readers pick through them at their leisure. First up, a nice little proof-of-concept study which discusses the viability of using Smartphones in cognitive science research: Smart Phone, Smart Science. This is from the same people behind the ScienceXL project. A brief New York Times article on the development of computer algorithms for analysing natural language for various purposes, notably to detect lies. Following on from my previous post on how to make a response box yourself for about £10, here’s how to make your own eye-movement recording headset for £30. This is pretty awesome. The NeuroDebian home-page – this is a Linux distribution which contains a massive list of neuroscience-related software tools, including SPM, FSL, Freesurfer, python and loads of others. It’s basically an entire operating system optimised for neuroscience research. I’m not (currently) much of a Linux user, but if I was, this is what I’d be using. Article on the Tech industry’s relationship with psychological disorders, including depression, suicide and Asperger’s. HackCollege.com – A really good site for students, mostly geared towards a US audience. Lots of articles on general college-related topics but quite a few good tech articles too. Recent good articles on: doing presentations, blocking time-wasting websites, why Android is better than iOS for students (most obvious answer – it’s cheaper), and how to write without distractions. StatsRef.com – a frighteningly comprehensive online statistics resource. Basically a free online statistics textbook. Also, in a similar vein, Prof. Andy Field’s Statistics Hell website. Almost as comprehensive, and definitely more amusing. An interesting project called ProtoGenie – a web-based authoring toolkit for design and running of online experiments and data collection. And finally, an interesting write-up of a study at the University of Illnois about students, ermmm… study habits. In a nutshell – over-reliance on Google, lack of knowledge about more advanced searching tools and specialist online databases. They should have read my earlier post about how to do research on the internet. That should keep you going for a while, hmmm? TTFN.